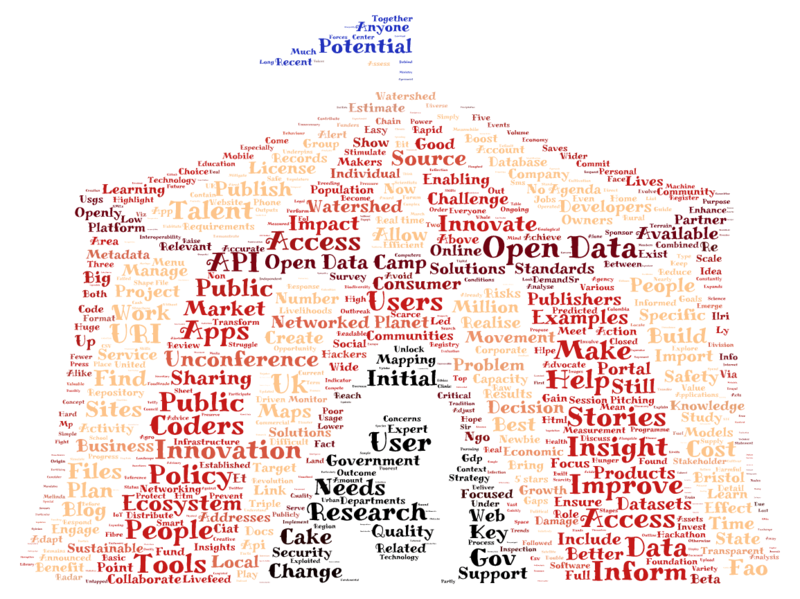 Open Data Camp is returning for a fifth time this coming weekend, 21st and 22nd October 2017. This time, the Open Data Camp charabanc will be visiting the lovely city of Belfast, in Northern Ireland. 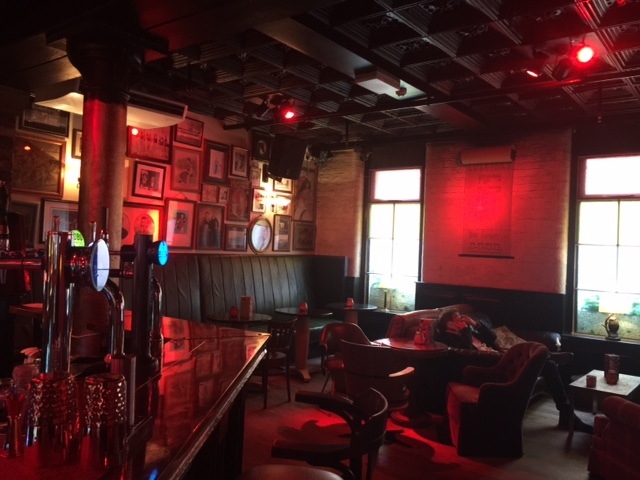 See the Travel and Accommodation page for information on getting to Belfast from other parts of the UK and Ireland, and where to stay. For those who have registered for the walking tour, we will be meeting at the gates of Queen’s university at 4:30pm, and the tour lasts about 1.5 hrs. On Friday evening, a few people will be meeting at The Duke of York from 6pm. Nothing formal, just turn up if you feel like it. There will be two sessions in the morning, and three in the afternoon on both days. A light lunch is being provided onsite, and there will be vegetarian options (at least 30%). We haven’t catered for special dietary requirements, but if you have a more specific need, please let us know in advance and we’ll try to help. We aim to finish the last session by about 4.30pm on Saturday and 3:15pm on Sunday. If you need anything at the weekend, or have a question, look out for people wearing maroon hoodies emblazoned with the Open Data Camp logo. Maroon-hoodie-wearers (Volunteers) have all given up their time for free, and will do their best to help you. 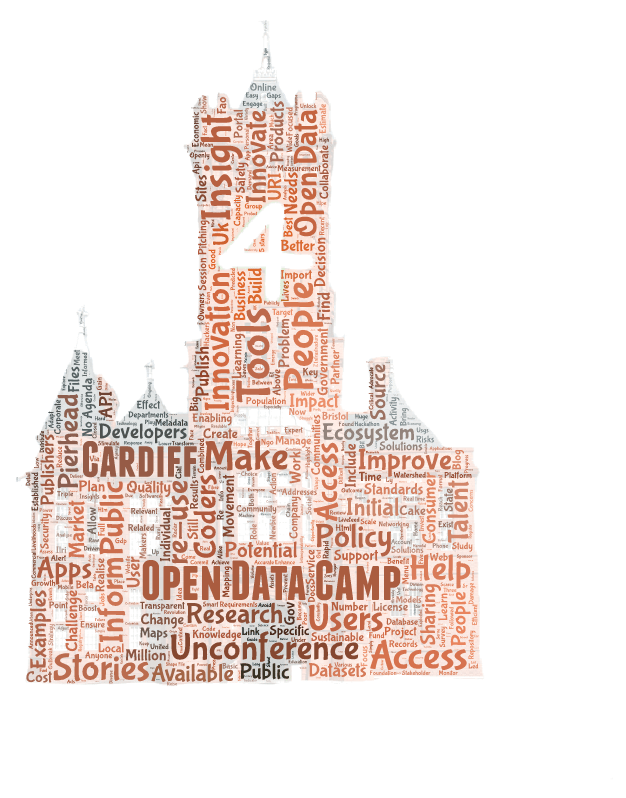 Open Data Camp is returning for a fourth time this coming weekend 25/26th February. This purpose of this post is to provide details for attendees. The Pierhead web site has full details on how to get to the venue, and there is more information in our Venue and Accommodation page. Pierhead is fully accessible, there is a lift as well as stairs connecting the public areas between the ground and first floors. A hearing loop is installed in the main hall and blue badge parking is available. Phone 0300 200 6565 with details of your blue badge to arrange. Registration is from 10am on Saturday and 10:30am on Sunday. There’s no need to print your ticket, as we’ll check you in using Eventbrite. We’ll be using “Hello. My name is….” sticky badges. Feel free to bring your own lanyard if you’d rather not stick it to yourself directly. We have participants coming from India, America and across the British Isles. It’s a weekend, and people are travelling from far-and-wide, so of course there’ll be tea and coffee – and pastries – for when you arrive. Tea & coffee will be kept topped-up throughout the day, and there will be cake in the afternoon. On Saturday evening we’ll be gathering at The Waterguard, which is about 5 mins walk from Pierhead [directions]. It’s a distinctive building – see Waterguard’s Facebook page for more info and photos. 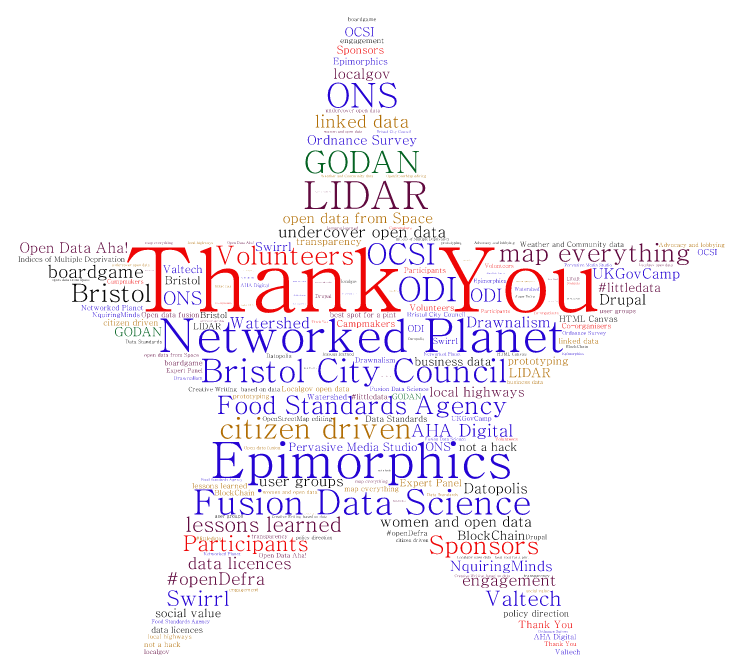 Thanks to our sponsors, there will be some free drinks for Open Data Camp attendees (not inexhaustible!) and a snack buffet delivered in stages throughout the evening. Don’t expect a main meal. There’s less public transport around on Sundays – and people like a bit of a lie-in – so sessions will be starting slightly later, the doors will open at 10:30am. 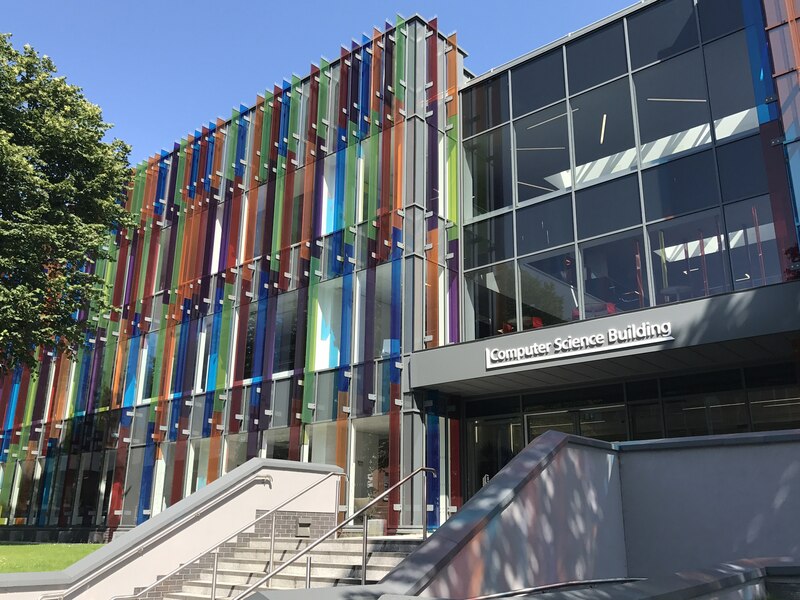 If you are a volunteer and haven’t already seen it, please take a look at Pauline Roche’s recent blog post Volunteers and Open Data Camp. 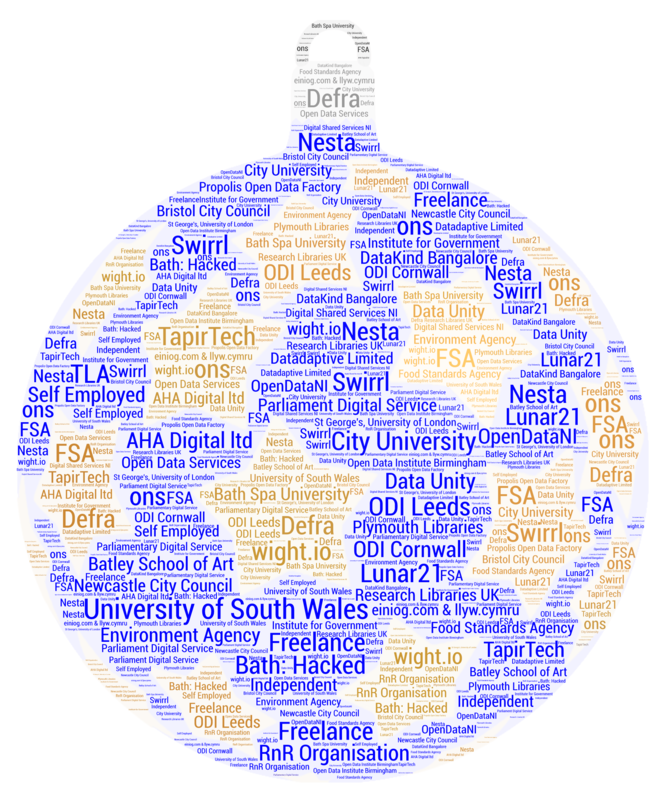 This is a quick post to update you on preparations for Open Data Camp 4, and to wish you all a Merry Christmas. So far, we’ve released two batches of tickets, and they’ve been snapped-up really fast. 49 tickets have been issued so far, and there are another 71 remaining. 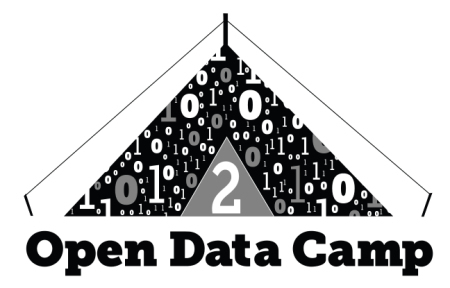 As you probably already know, Open Data Camp is free to attend, and is open to everyone. We often get asked who attends Open Data Camp. We obviously can’t divulge any personal information, and some people choose not to volunteer any additional information about themselves, but we can share a summary. 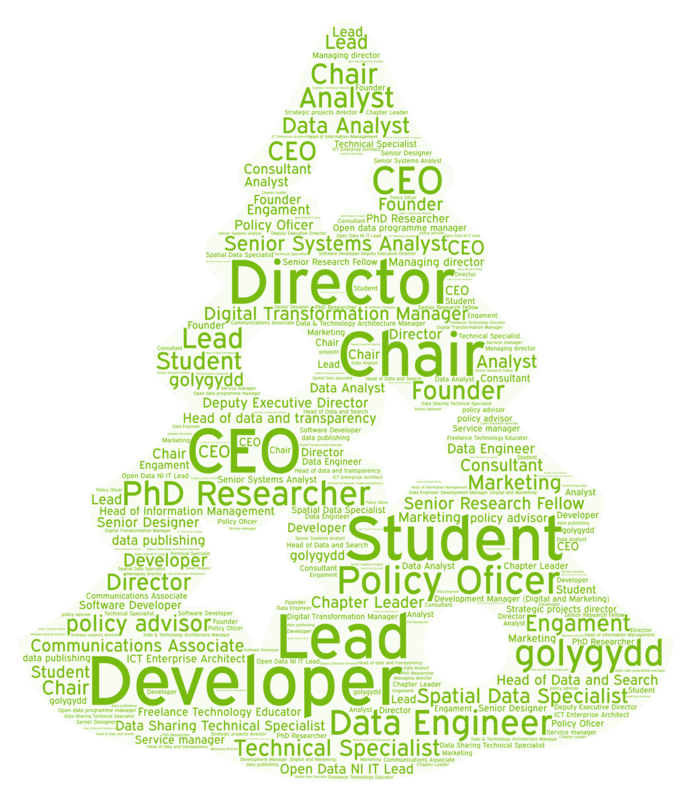 There’s a really wide range of job titles amongst attendees who chose to tell us their title, with students, researchers, policy people, founders, directors, CEOs, analysts, developers and technicians, and many more besides. We’re starting to get all Christmassy, so here it is as a picture (click to see full size). Here are some of the organisations attendees identify with. With three more ticket releases to go, there will be lots more yet to come. At the moment, attendees are approximately ⅓ female and ⅔ male, which is remarkably similar to all three previous events. There are still several opportunities through the forthcoming ticket releases on Jan 8th, 13th and 19th to attract a diverse range of attendees. The Open Data Camp organising team currently comprises 10 men and 6 women, and for the previous Camp, we adopted a Code of Conduct to ensure that we continue to have an enjoyable event for everyone. If you’ve managed to grab a ticket, you may have some questions about how to get to the venue, and where to stay. Take a look at the Venue and Accommodation page on the web site. We’ll be keeping it updated, and posting more information as we get it. If you’re stuck, let us know at @ODCamp on Twitter, or through the contact page on the web site, and we’ll try to help. We’d also welcome any other suggestions on good (and cheap!) places to stay, or any tips on local hostelries. Click to skip to this post in Welsh. Mae Gwersyll Data Agored yn ol! Rydym yn falch i ddatgan bod Gwersyll Data Agored yn dod yn ol unwaith eto. Bydd Gwersyll Data Agored 4 yn cael ei gynnal ar benwythnos dydd Sadwrn a dydd Sul y 25/26ain o Chwefror 2017, yn Adeilad y Pierhead yng Nghaerdydd. Rydym yn hynod o ddiolchgar i Aelod Cynulliad Mark Drakeford, o Gynulliad Cenhedlaethol Cymru, sydd wedi noddi ein defnydd o adeilad y Pierhead. Mae ‘gwersyll’ yn cyfeirio yn aml i ‘anghynhadledd’ (‘unconference‘), sydd yn golygu bod yn ddigwyddiad yn dechrau heb agenda rhagosodol – yn hytrach, mae mynychwyr yn cynnig (‘pitch’) syniadau i’w gilydd ar gyfer sessiynnau. Golygai ‘Agored’ bod data ar gael hefo ychydig neu dim o rwystrau ar sut ellid ei defnyddio, fel a osodwyd allan mewn trwydded. Dydd Mercher 14fed Rhagfyr am 3y.p. Dydd Mawrth 20fed Rhagfyr am 12y.p. Dydd Sul 8fed Ionawr am 8y.p. Dydd Gwener 13fed Ionawr am 4y.p. Dydd Iau 19fed Ionawr am 12 y.p.